Prep and Landing Specials Return to ABC Thursday, December 15! Two Emmy-winning specials produced by Walt Disney Animation Studios "Disney Prep & Landing" and "Prep & Landing: Naughty vs. Nice" will air back to back THURSDAY, DECEMBER 15 (8:00-8:30 p.m. & 8:30-9:00 p.m., EST) on the ABC Television Network. 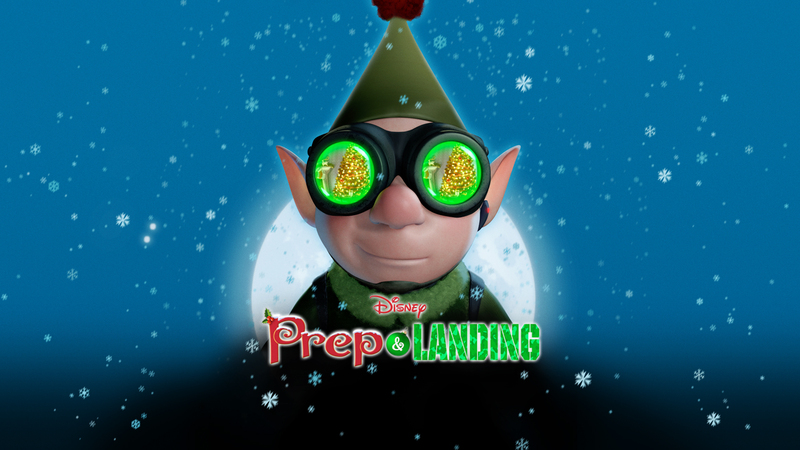 The first half-hour holiday special reveals the never-before-told tale of an elite unit of Elves known as Prep & Landing. Every Christmas Eve this high-tech organization ensures that homes around the world are properly prepared for the yearly visit from The Big Guy, their code name for Santa Claus. The second half-hour special continues the yuletide adventures of Christmas elves Lanny and Wayne: With the Big 2-5 fast approaching, Wayne and Lanny must race to recover classified North Pole technology that has fallen into the hands of a computer-hacking naughty kid! Desperate to prevent Christmas from descending into chaos, Wayne seeks out the foremost naughty kid expert to aid in the mission – a bombastic member of the Coal Elf Brigade, who also happens to be his estranged brother, Noel. The cast of "Disney Prep & Landing" includes Dave Foley ("The Kids in the Hall," "NewsRadio") as Wayne, Sarah Chalke ("Maneater," "Scrubs") as Magee and Derek Richardson ("Men in Trees," "Hostel," "Dumb and Dumberer") as Lanny. The cast of "Prep & Landing: Naughty vs. Nice" includes Dave Foley as Wayne, Sarah Chalke as Magee, Derek Richardson as Lanny, Rob Riggle ("The Daily Show," "American Dad!") as Noel and Chris Parnell ("Suburgatory," "30 Rock") as Mr. Thistleton. John Lasseter is executive producer of both specials. Dorothy McKim is the producer, and the writers/directors are Kevin Deters and Stevie Wermers-Skelton. Check out even more holiday fun you can watch right now! 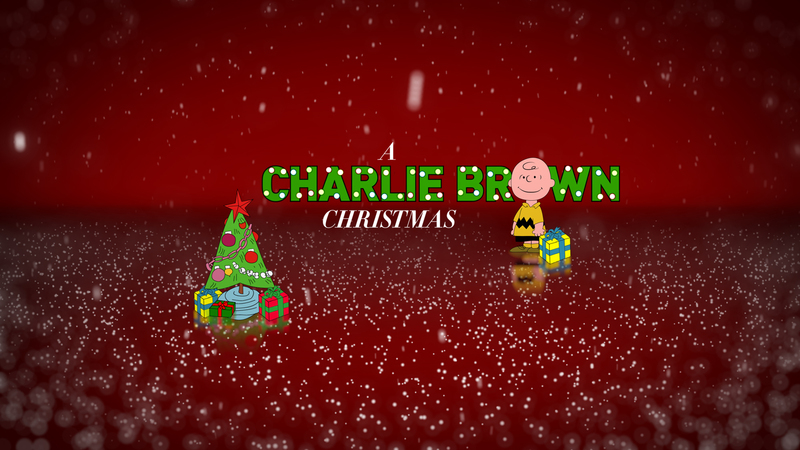 "A CHARLIE BROWN CHRISTMAS" – Celebrate the joy of the holidays with the classic animated Christmas-themed PEANUTS special, created by the late cartoonist Charles M. Schulz. In the digitally re-mastered 1965 special, Charlie Brown complains about the overwhelming materialism that he sees everywhere during the Christmas season. Lucy suggests that he become director of the school Christmas pageant, and Charlie Brown accepts, but it proves to be a frustrating struggle. When an attempt to restore the proper spirit with a forlorn little fir Christmas tree fails, Charlie Brown needs Linus' help to learn the real meaning of Christmas. (Rebroadcast - ABC OAD: 12/20/91). (8:00–9:00 p.m.) WATCH THE FULL SPECIAL RIGHT HERE WITHOUT SIGNING IN! "THE GREAT AMERICAN BAKING SHOW" – It's going to be a Very Mary Berry Christmas when "The Great American Baking Show" returns with a two-hour season premiere. Hosts Nia Vardalos ("My Big, Fat, Greek Wedding") and Ian Gomez ("Cougar Town") return with Britain's "Royal Queen of Baking," Mary Berry, and James Beard Award-winning pastry chef and author, Johnny Iuzzini, as judges where bakers from around the country will compete for the title of "America's Best Amateur Baker." Each week these bakers will share their recipes for holiday-themed fare with everything from cakes, cookies and pies on the dessert menu. "The Great American Baking Show" is from Love Productions and is executive produced by Richard McKerrow and Joey Allen. (9:00–11:00 p.m.) WATCH FULL EPISODES RIGHT HERE, RIGHT NOW! "THE GREAT CHRISTMAS LIGHT FIGHT" – It's beginning to look a lot like Christmas with ABC's hit holiday decorating competition series, "The Great Christmas Light Fight," returning for its fourth season with returning celebrity judges Taniya Nayak and Carter Oosterhouse. 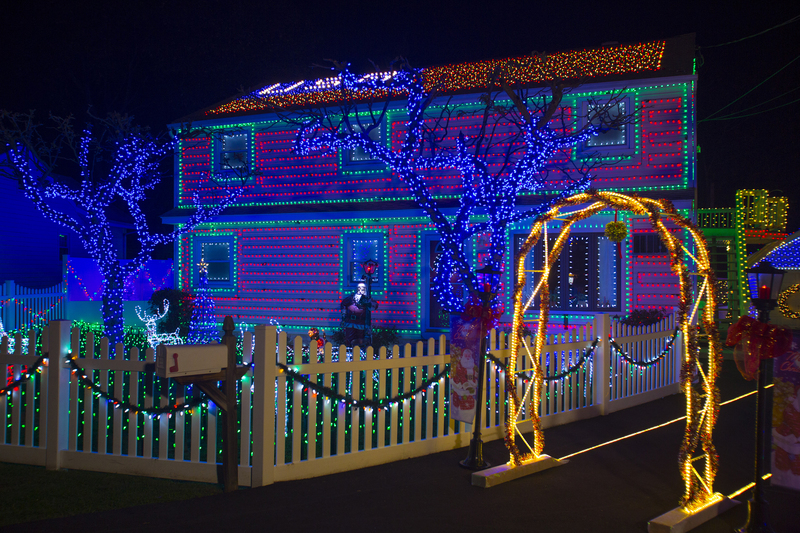 "The Great Christmas Light Fight" features families and neighborhoods from across America decorating their homes to the extreme for Christmas in hopes of winning a cash prize and the coveted Light Fight trophy. The series will air for three consecutive weeks with back-to-back episodes. In each of the six one-hour episodes, four families compete for the $50,000 prize, with a total of $300,000 given away for the season, as they transform their homes into a festive wonderland for the holidays. (8:00–10:00 p.m.) WATCH FULL EPISODES RIGHT HERE, RIGHT NOW!